The seafood bar options were less impressive. 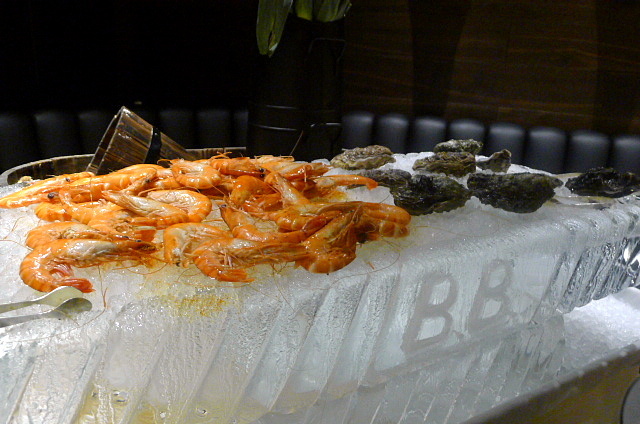 The king prawns proved a little mushy and the oysters were a little bland. Furthermore, one of the three oysters I picked up looked dry and grey as if well past its use by date. A baby prawn cocktail served with a Marie Rose sauce was decent, with the sauce being very creamy. To the mains, and a pulled pork was decidedly dry. For what should have been a star feature of the restaurant, this was disappointing. 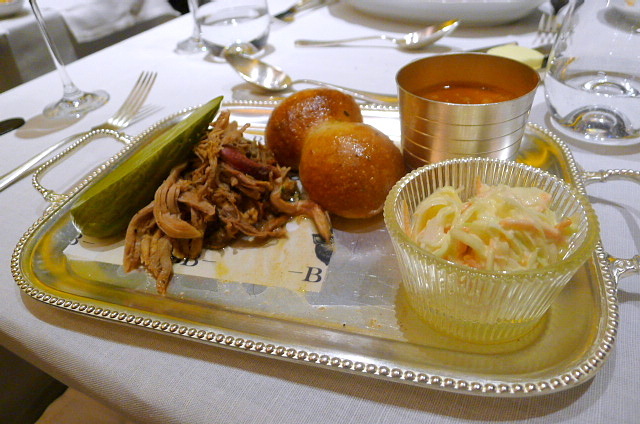 Served with thyme baked rolls, homemade pickles, coleslaw and smoky bacon baked beans, the beans were good. The baked rolls were also interesting with a slightly chewy crust that took on an almost bagel like quality. 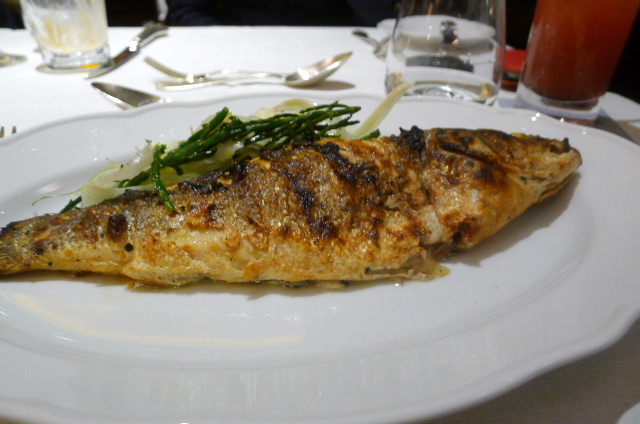 Another main of sea bass with preserved lemon, samphire and fennel was also very, very dry, but the samphire and fennel were nicely done. We also tried some sides of sage roasted pumpkin and green vegetables, both of which were very bland. 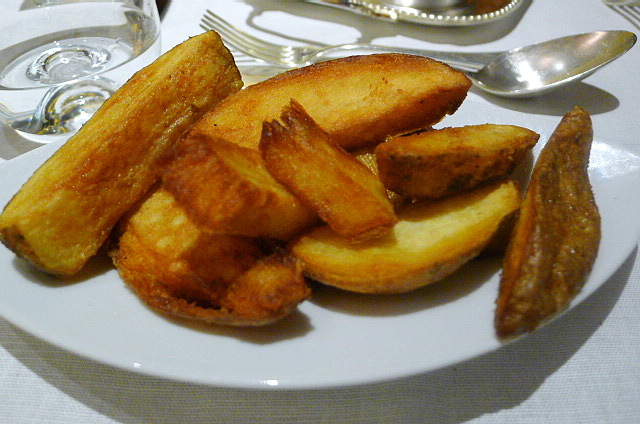 But I adored the chunky chips as they were very crispy and fluffy in the middle. 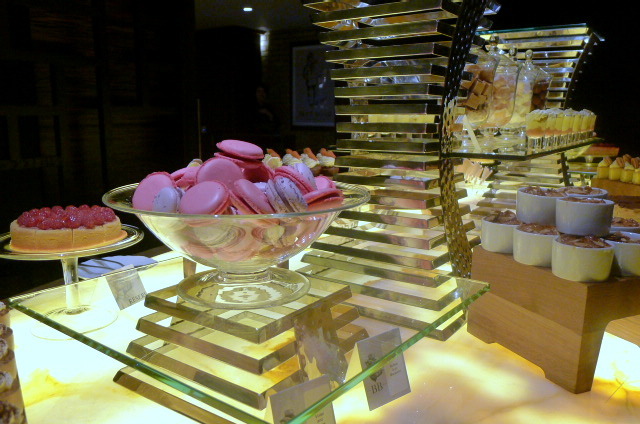 The dessert selection is impressively displayed, and on the whole all of the desserts were really good. Particularly delicious was the apple clafoutis which was moist and scrummy. 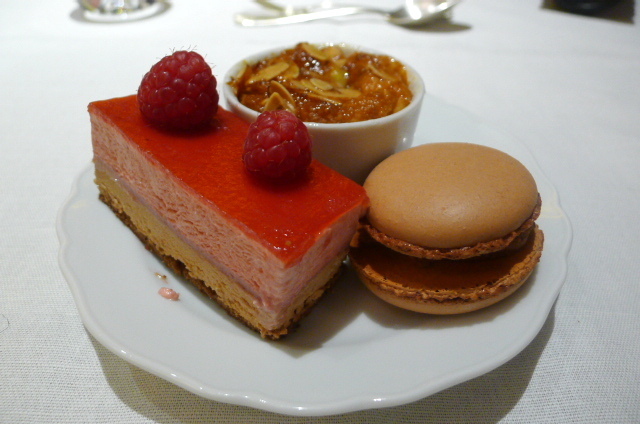 Also very good was the raspberry and chocolate slice that had a lovely mousse-y like texture and was cleanly presented. There was also a range of chocolates for the picking. 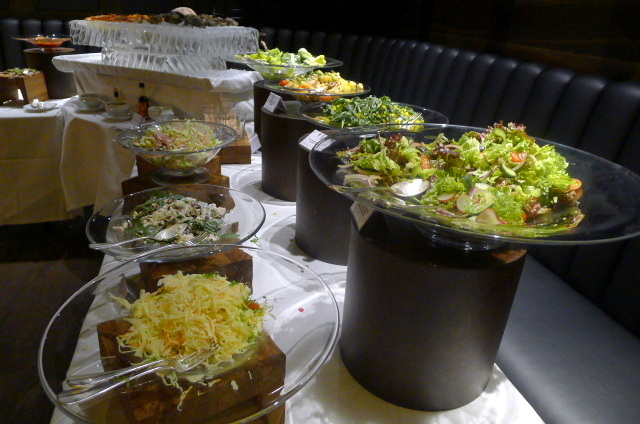 The best of the bunch were the salads and the desserts, which for £45 is good value if you can eat a lot. It wasn’t unreasonable value considering that the bunch also offers unlimited access to Bloody Marys and Bucks Fizzes. If you judge the calibre of the cooking by the standard of the mains, then it wasn’t great. On this basis, I probably wouldn’t consider the Blue Boar as a dinner option. The service was pleasant. I went as part of a blogger’s lunch with Greedy Gourmet, Cook Sister and Tuck and Vine. Prices: £45 for the Sunday brunch.